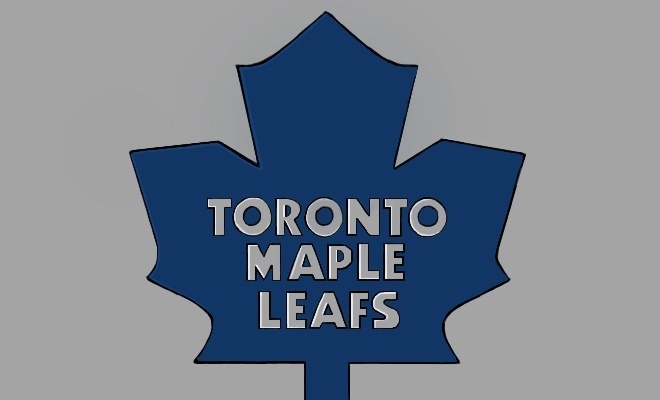 The 2018-2019 NHL season is fast approaching and it looks like the Toronto Maple Leafs are in for a very exciting season. There has been a lot of change during the off-season for the Leafs, which will have a huge impact on the team this year. The biggest story around the NHL this summer was when John Tavares, who was an un-restricted free agent after last season, decided to leave the New York Islanders and come play for his hometown team, the Toronto Maple Leafs. This was one of the biggest free agent signings in the history of the NHL. Tavares signed for 77 million dollars over seven years, which is actually a hometown discount and humbling, considering he is one of the best centers in the league and could have been paid more somewhere else. The main reason why he decided to come to Toronto was not only because he was a Leafs fan growing up, but also because of all the young talent already on the team, which gives him a great opportunity to win the Stanley Cup in Toronto. Last year the Leafs were already the sixth best team in the NHL and were third in the Eastern Conference, finishing with 105 points. After adding Tavares to an already potent offense with players like Auston Matthews, Mitch Marner, and William Nylander, the Leafs will have arguably the best offense in the NHL. The Leafs did lose some key forwards in free agency, such as winger JVR, center Tyler Bozak, and winger Leo Komarov, but Tavares and other prospects will be able to fill those missing holes this season. Tavares wasn’t the only addition to the team over the off-season. Lou Lamoriello stepped down as the general manager and Kyle Dubas, who was assistant general manager, took his place. Less than two months after Dubas was named GM, he landed Tavares. Not bad for one of the youngest GMs in the NHL. The Leafs start training camp in Niagara Falls on September 14 with the first pre-season game against Ottawa on September 18. Going into camp, there are a couple big questions that have sparked conversation in the media and among the fans. One is that one of the Leafs best wingers, William Nylander, still does not have a contract. Nylander is currently a restricted free agent and will not be able to play with the Leafs until he and Leafs’ office agree on a new contract. It is expected that Nylander is asking for around eight million dollars a year, but the Leafs will need him to take a discount if they want to keep all their star players. This is because Matthews’ and Marner’s contracts are also up next season, and both players are also expected to get paid a lot of money, so it will be hard for the Leafs to pay all of their stars and stay under the NHL salary cap. The other big question heading into this year’s season is who will be named the Maple Leafs’ captain. The Leafs haven’t had a captain since Dion Phaneuf was traded to Ottawa in 2016. It was assumed by many that Matthews would eventually be the captain for the Leafs but when Tavares signed with the Leafs that was called into question. Tavares was captain for the New York Islanders for five years and is a well-respected leader in the NHL. Dubas stated when they signed Tavares that they will wait and see who naturally becomes the leader and not rush the decision. Personally, I believe that Matthews will still be the Leafs’ captain because he is the rising young star on this team, even if it is not this year. There are a lot of leaders in the Leafs dressing room and there is no need to rush the decision. The expectation for the Leafs’ season this year is very high, not only among fans but around the league as well. The Leafs were considered one of the best offensive teams in the league last year and now with Tavares I think it is safe to say they are the absolute best. However, there are still some holes in their defensive line-up, particularly on the right side. This holds them back from being the favourite this year to win the Stanley Cup (I believe the Tampa Bay Lightning have that title) but I would say they can easily be top five in the league this year. If their goaltender Fredrick Andersen stays consistent, which he has had trouble with the past couple seasons, and the Leafs find a way to fills some holes on defense, then there is no reason why they can’t win the cup this year or next.